Facing a criminal offense is one of the most stressful and difficult events you may have to deal with in your life. That is why our law firm's commitment to you is to provide exceptional legal representation as well as great personal service. We offer experienced criminal defense attorneys, paralegals, and staff who will take the time to explain your rights and options so you can make the best choices for you. Whether your case is resolved through negotiations or at trial, we do our best to create as many options as possible, fully explain those options to you, and help you to make the best decision that you can. We will support you through these difficult decisions and represent you zealously. Our criminal defense attorneys and staff are highly respected for our understanding of the breadth and nuances of criminal defense law and for our commitment to our clients. Since 1994, we've helped individuals from all walks of life and all economic brackets. Whether our client may be a small business owner, professional, executive or someone struggling to make ends meet – we believe they all deserve the highest quality representation we can provide. In addition to our knowledge of the laws and legal system, we have experience working with clients and their families who may be struggling with mental health issues, drug or alcohol abuse or dependency, and other significant stressors. We work very hard to be sensitive to all issues and to help our clients access the services they need to improve their lives and their cases. 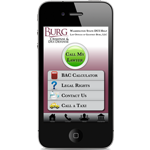 We do our best to return phone calls and emails the day we receive them and no later than the next day. We promise to listen to what you say and do our best to provide you candid legal advice. We will try and guide you through this process and help you obtain the best possible outcome that is available. From the testimonials we have received from past clients, we believe we are succeeding in providing exceptional service to our clients.